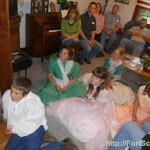 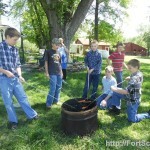 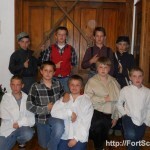 The 5th and 6th grade class at Fort Scott Christian Heights participated in a 1865 reenactment during their study of the Civil War. 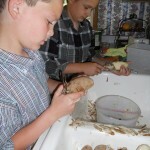 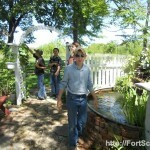 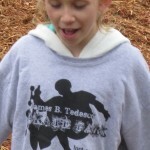 Students spent Tuesday at the farm of their teacher, Mrs. Shead. 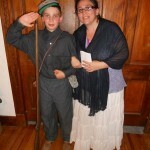 After a day of preparing for the dinner, the students wrote a realistic scenario for their parents to act out, using terms and names they learned in their Civil War study. 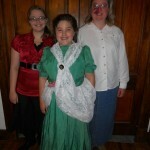 Then they dressed in costumes of that era. 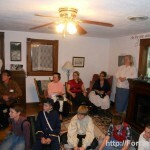 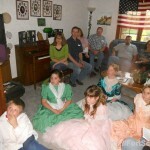 When parents arrived, they joined the students for an evening reenactment, acting as relatives who were coming to a dinner in hopes of reuniting their divided family Like many families, especially in Kansas, this entire family is divided with hurtful and devastating memories of the recent war. 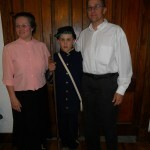 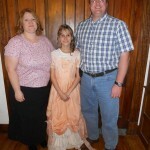 Larry and Vickie Shead, acted as the slave owners who once had slaves on their farm. 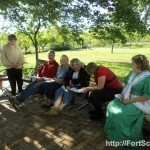 Recently, according to the drama being portrayed, they had to release their slaves at end of the war. 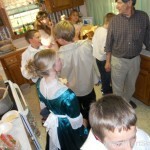 In the absence of slaves, their 13 siblings (the students) prepared the meal and served their guests using proper hosting and etiquette. 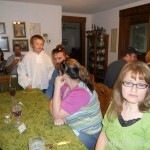 The guests, playing the part of aunts, uncles, grandparents, and cousins, joined the drama as the Shead’s attempted to heal the family from the pain brought about by words, bullets, burning of homes, and even death. 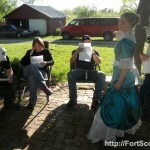 During the evening the group attempted to put the past behind them. 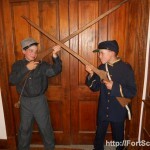 Conflict ensued when Shead’s sons arrive home during the evening; one son having fought for the Union and the other for the Confederacy. 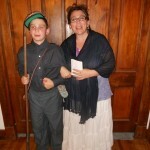 More emotions emerged when a messenger announced the news of Abraham Lincoln’s death. 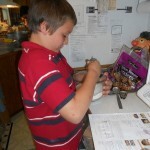 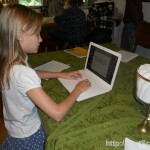 The entire day allows the students to explore a wide range of cross-curriculum studies. 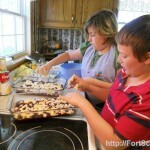 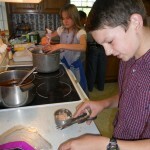 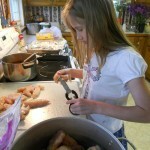 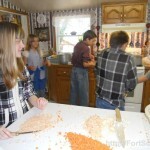 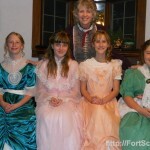 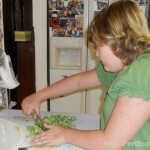 Not only did they receive a crash course in home economics where they learned about meal planning, cooking, etiquette rules in serving, proper table setting, and the necessary clean up, but they also polished up on their writing skills as they developed a realistic, historical role for their parents to act out when they arrived. 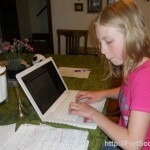 In these scenarios, they were required to use at least 12 names and terms of the Civil War. 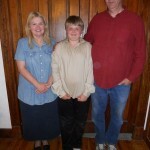 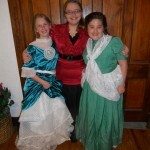 The incorporated history they learned was mixed into the evening drama, complete with costumes, and played out throughout the evening. 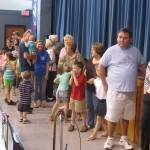 Then at the close of the evening, the students took an oral test of the facts, names, events, and battles they have studied, allowing the parents to see the excitement and what the students have learned. 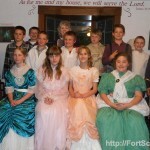 This Civil War saga is a great conclusion to their unit study. 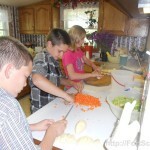 This is the eighth year that Mrs. Shead has done this activity with her students. 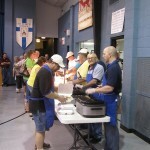 This Friday and Saturday the the “1st Annual All Hit 103.9FM Home, Sport, Farm & Garden Show” will be held at Arnold Arena at the Community College. 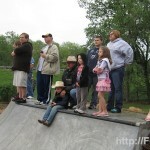 It will run Friday, April 13 From 5-8 PM and Saturday, April 14 From 9AM – 3PM. 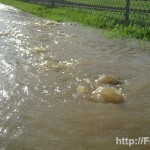 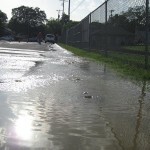 There was a break in the water main on 9th street between the high school and the stadium/track Tuesday afternoon. 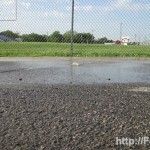 The water bubbled up from the road and ran down Main Street eventually flowing into the water way that separates the baseball fields from Buck Run. 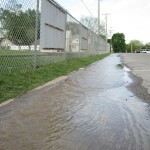 Fort Scott Public Works Director Eric Bailey said that the plan was to have it dug up and fixed by midnight. 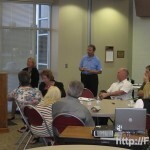 Local citizens met at FSCC for a Fort Scott Visioning meeting to discuss some of the future plans, projects and needs in Fort Scott. 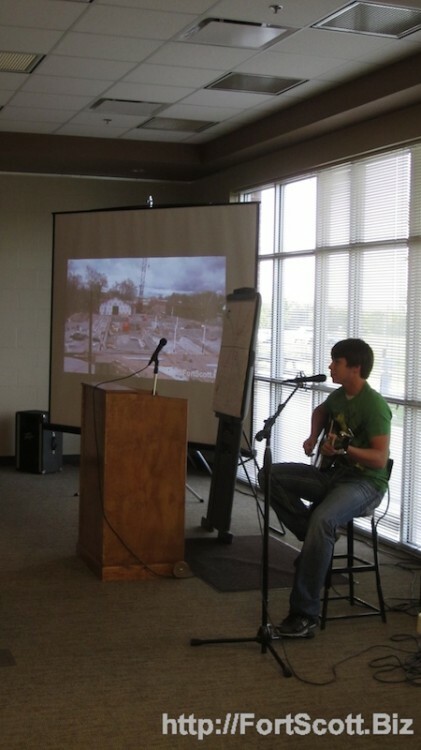 After an introduction Chris Allen sang with his guitar while a video played showing pictures of some of the projects backed by the Fort Scott Visioning Committee including the expanded facilities at Buck Run, the new pool, and the Pennies for the Park world record. 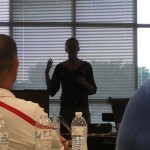 Angie Bower, a Public Square Colleague, spoke about how Public Square Communities work to help develop communities. 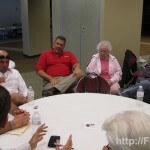 Their efforts are trying to bring the four elements of government, education, human services and business to the table to work together. 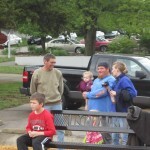 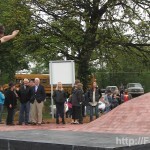 Fort Scott has been involved in the process with Public Square since 2005. 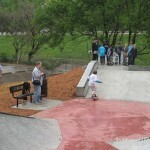 Fort Scott has been accredited by Public Square twice. 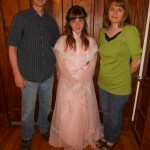 The first time was in 2009 and the second was in 2011. 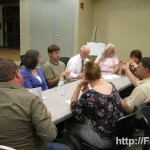 This is a peer review process where other communities assess the things being done in Fort Scott. 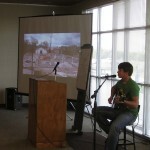 Clayton Tatro talked about some of the teams in Fort Scott like the Youth Action Team, the Good Neighbor Focus Team and the Riverfront Project. 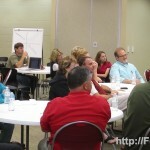 He discussed the need to start thinking about what the next stage is in developing “visioning 2.0”. 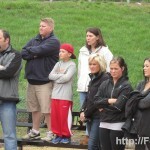 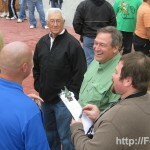 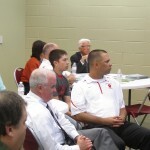 He also reviewed some of the successes made by local teams toward their goals. 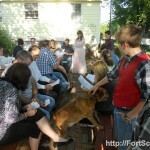 Mallory Shelton, a senior from Fort Scott, talked about a project the involved talking to high school students to ask about their view of the future of the Fort Scott community. 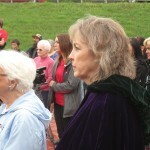 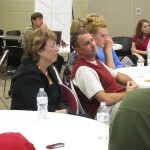 She said that the students wanted to avoid feeling like they were “stuck” in Fort Scott, but have it to come home to. 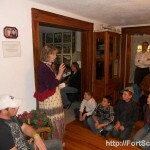 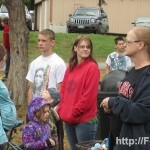 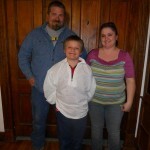 There were comments about how safe and open Fort Scott is and how that is a good place to raise a family. 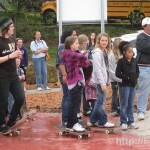 The students mentioned a need to have some type of place to go in town like a bowling alley. 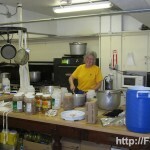 Putting a coffee shop downtown. 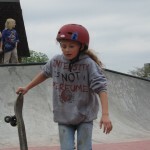 Trying to address education in letting young people understand what they can do if they are willing to work hard. 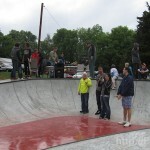 Some type of youth gathering place other than just the Keyhole. 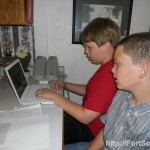 The need for better Internet infrastructure. 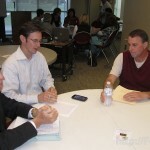 The need to try to tie assistance to people based on the ability to work in order to steer the community toward a proper balance. 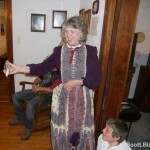 The possibility of creating more second story living downtown. 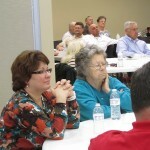 Trying to better sell the benefits of the community to senior citizens. 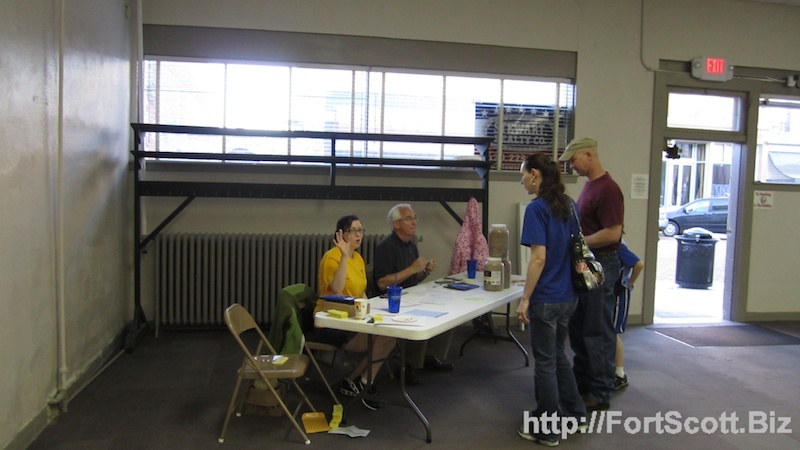 Options for using tax funds to fix up or encourage owners to fix up downtown buildings. 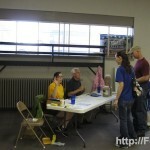 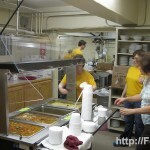 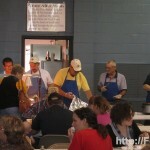 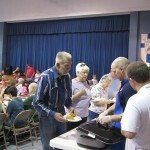 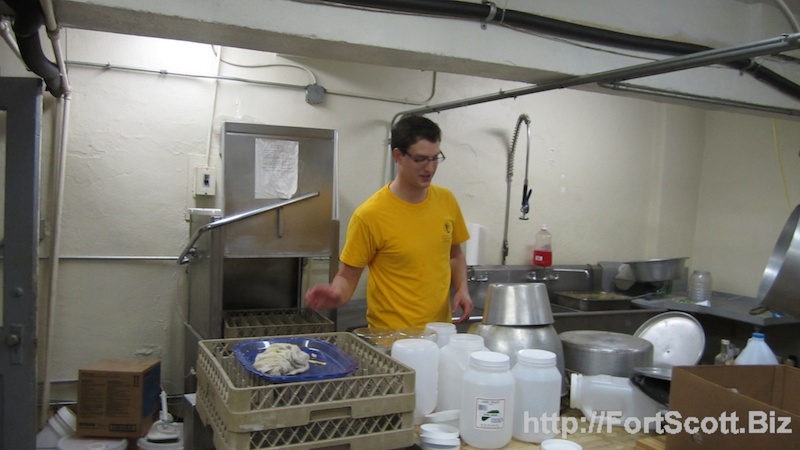 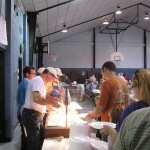 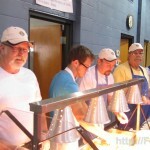 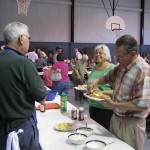 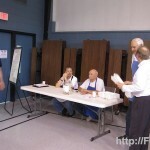 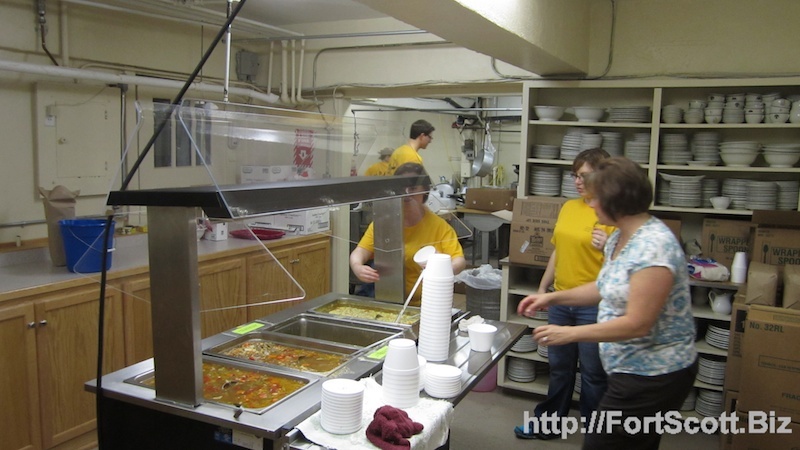 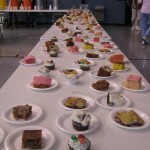 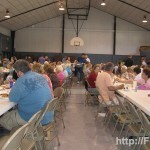 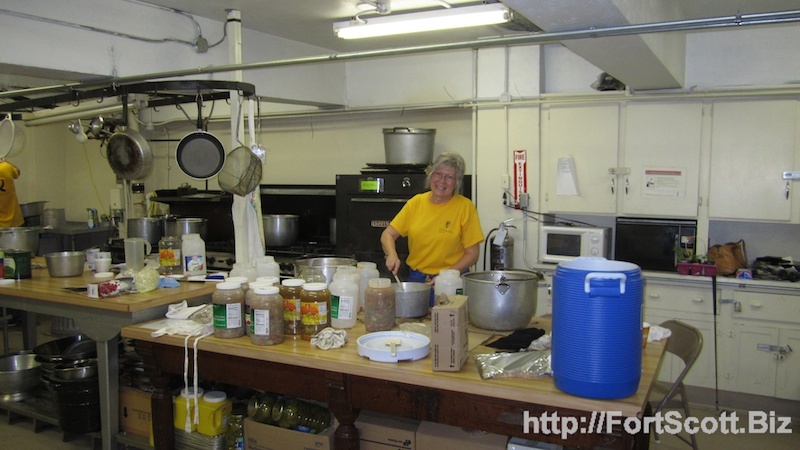 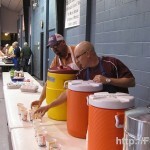 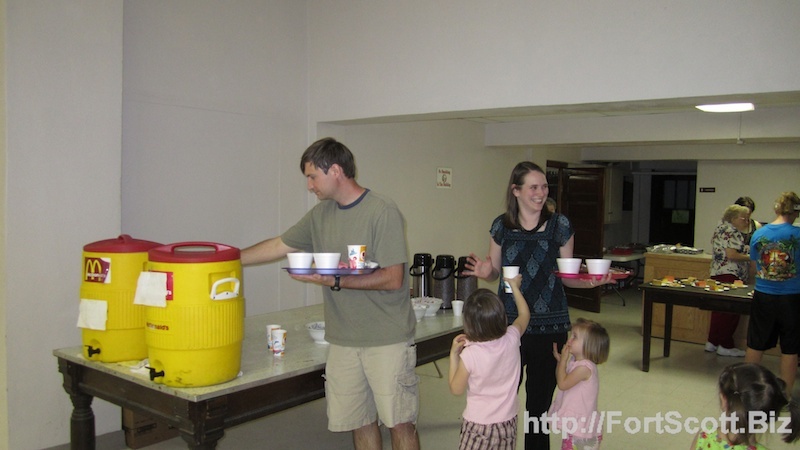 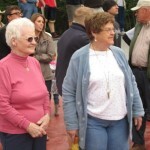 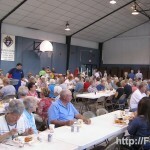 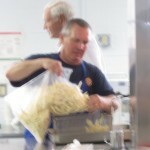 The annual Knights of Columbus fish fry wrapped up at the end of last month. 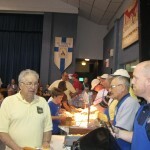 The event was held in Kennedy Auditorium at St. Mary’s Catholic School and drew large crowds on each Friday. 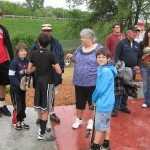 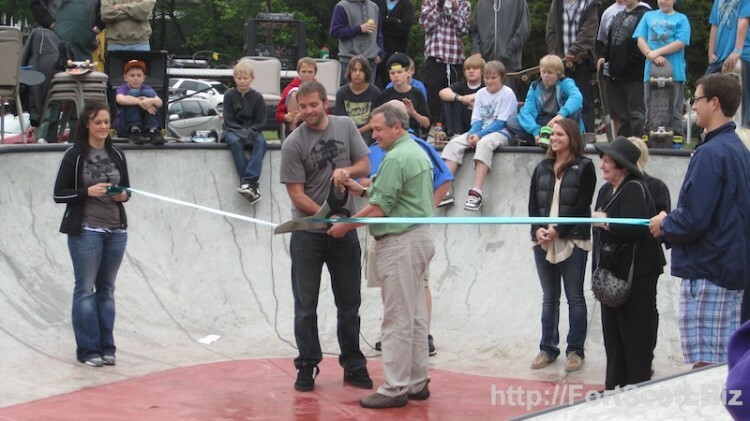 The rain didn’t dampen the spirits of over 100 people who attended the grand opening ceremony for the James B. Tedesco Skatepark. 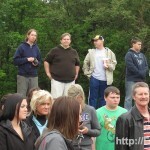 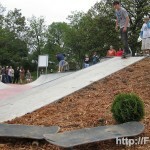 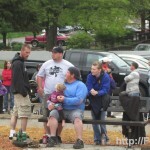 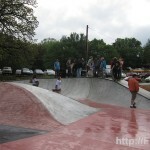 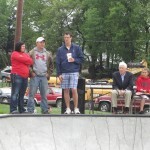 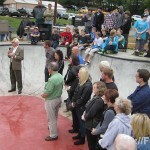 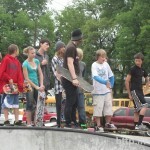 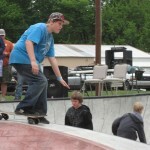 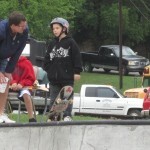 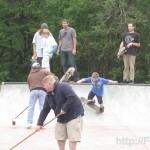 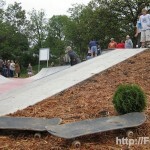 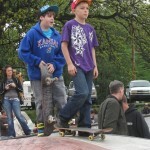 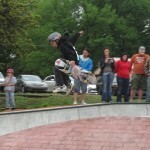 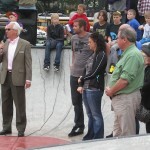 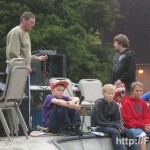 City Manager Dave Martin, Mayor Jim Adams and Nate Lyons from the Fort Scott Skate Park Committee spoke. 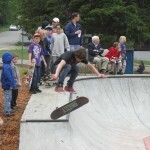 Mr. Martin said that last year the city had some money left in the parks budget and asked the commissioners if they could use that toward the skate park. 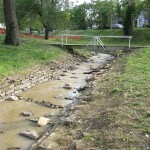 The commissioners agreed and around Christmas, Mr. Adams called to say that someone was willing to donate $25,000 to the project to help get it built. 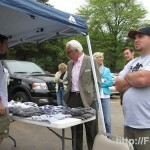 The donor was Steve Tedesco who owns Running Fox Petroleum which has a number of wells in the Fort Scott area. 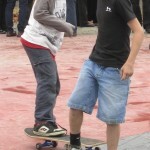 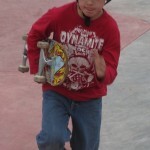 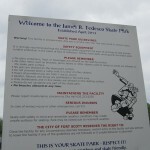 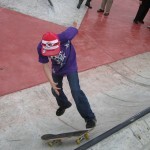 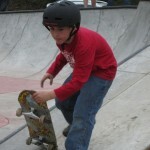 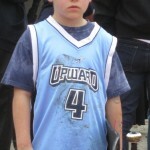 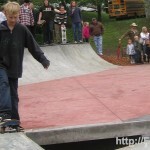 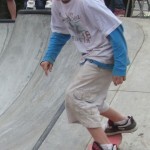 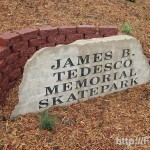 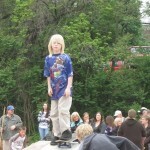 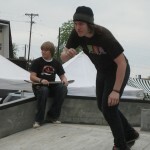 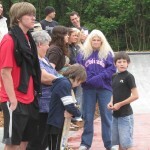 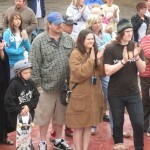 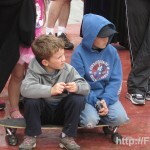 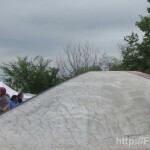 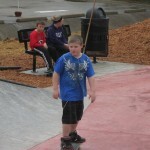 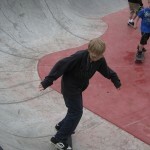 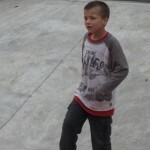 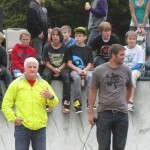 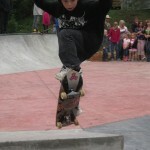 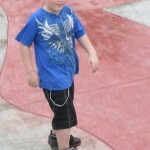 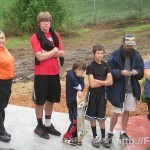 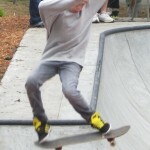 The Skatepark is named after his late brother James. 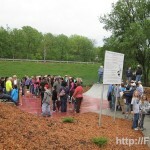 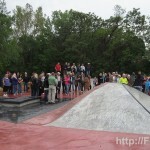 Mr. Martin encouraged the city’s youth to take care of the facilities. 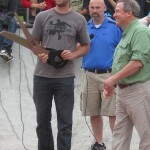 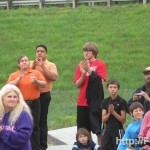 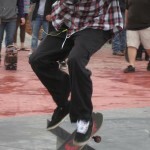 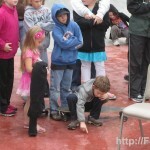 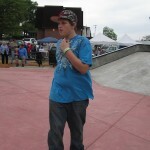 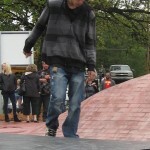 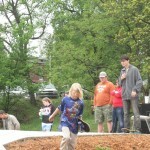 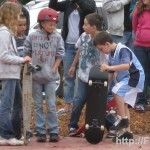 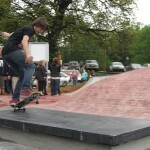 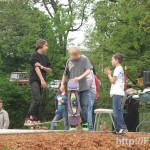 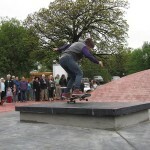 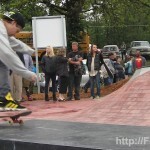 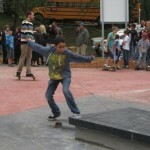 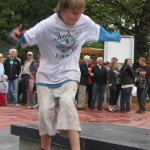 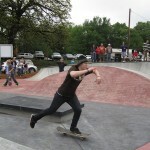 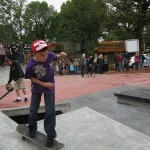 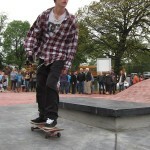 After the ribbon cutting, Evan Dohtery did a skateboarding demonstration. 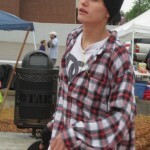 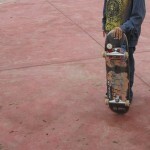 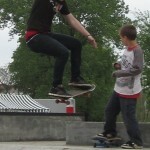 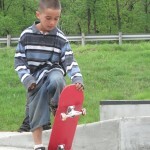 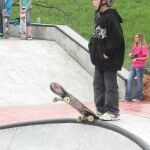 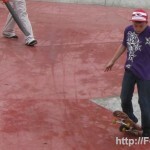 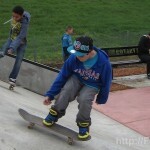 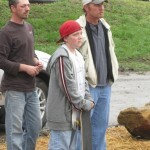 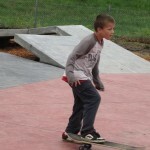 Evan is a very talented skater from the Kansas City area. 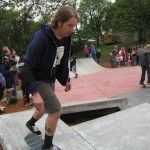 You can see some videos of him skating in other places here. 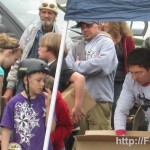 A box of helmets was donated by the Tony Hawk Foundation and they were being handed out to youngsters who didn’t have any head protection. 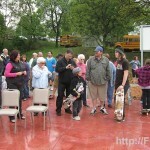 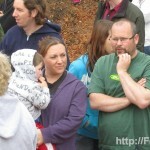 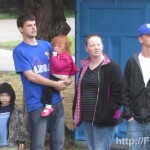 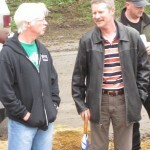 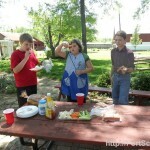 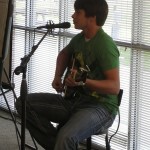 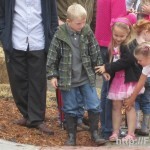 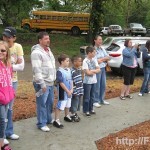 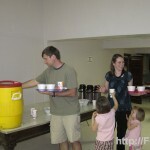 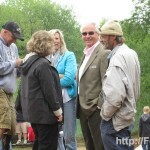 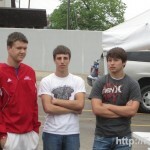 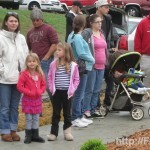 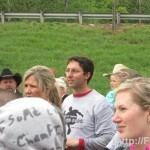 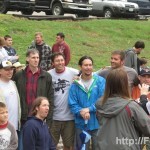 There are over 100 pictures from the event shown below. 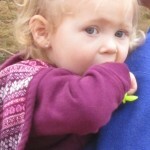 If you click on one of the thumbnails you can view the full image. 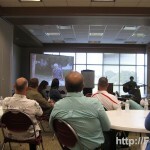 Clicking on the full size image will take you to the next image in the slide show. 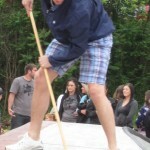 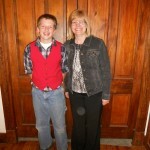 According to Jamie Armstrong (President of YPL), the annual Soupline raised over $3,000 for the Beacon. 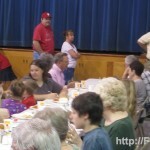 The Young Professional’s League helped coordinate the event that involved volunteers from YPL, local churches and the community. 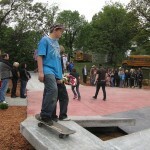 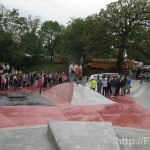 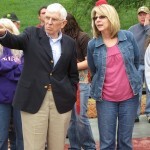 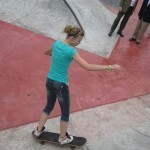 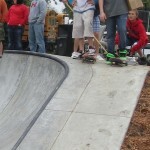 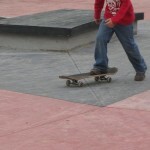 The Skate Park will be dedicated on April 7th at 1:00 pm. 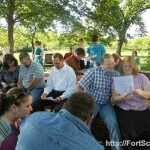 Please make plans to join the community for this event.